On utilization of input tax credit availed under the CGST Act for payment of tax dues under the IGST Act as per sub-section (5) of section 35, the amount collected as CGST shall stand reduced by an amount equal to the credit so utilized and the Central Government shall transfer an amount equal to the amount so reduced from the CGST account to the IGST account in the manner and time as may be prescribed. Note: This provision is to be incorporated in the CGST Act. 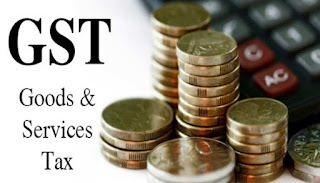 On utilization of input tax credit availed under the SGST Act for payment of tax dues under the IGST Act as per sub-section (5) of section 35, the amount collected as SGST shall stand reduced by an amount equal to the credit so utilized and the State Government shall transfer an amount equal to the amount so reduced from the SGST account to the IGST account in the manner and time as may be prescribed. Note. This provision is to be incorporated in SGST Act.